My favorite way to eat? Real, natural foods cooked in delicious ways. My other favorite way to eat? Fast. As a graduate student with two jobs, life can be pretty very hectic. While I would love to prepare ALL of my meals with fresh veggies, fruits, and meats, that just isn't realistic for me right now. So I have a few packaged foods on hand that make my life much easier. I thought I'd do a few "spotlight" posts with some of these foods in case you're looking for some good, healthy grocery store purchases. 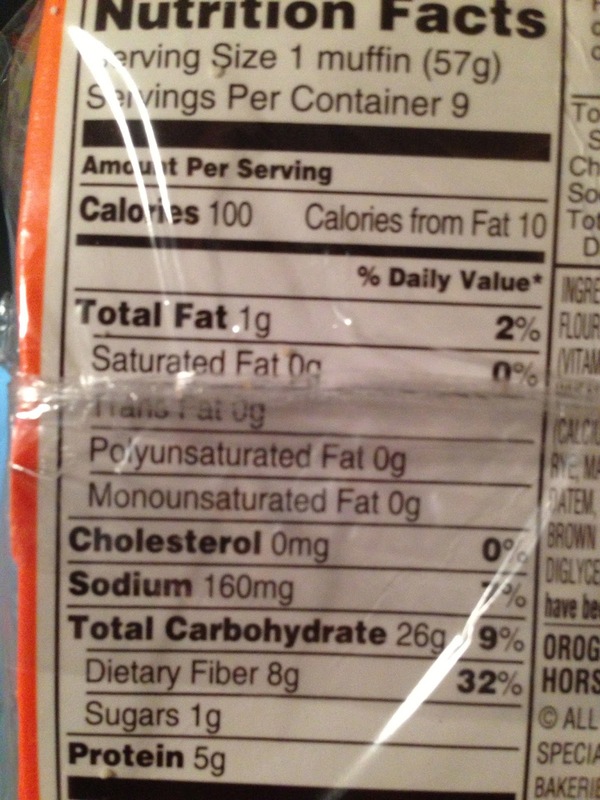 Requirements for a packaged food to be a staple in my diet? It should be nutritious -- meaning, it should offer something in the way of nutrients rather than just providing empty calories. For example, I don't eat things like rice cakes. While yes, they're low in calories, they offer virtually nothing in the way of vitamins, nutrients, fiber or protein. No thanks! I look for things that will be filling and give me energy, so most of my favorite packaged goods contain fiber and protein without too much saturated fat or sugar. It only makes sense that I'd start with multi-grain english muffins. These things are a staple in my diet and have been for a while. 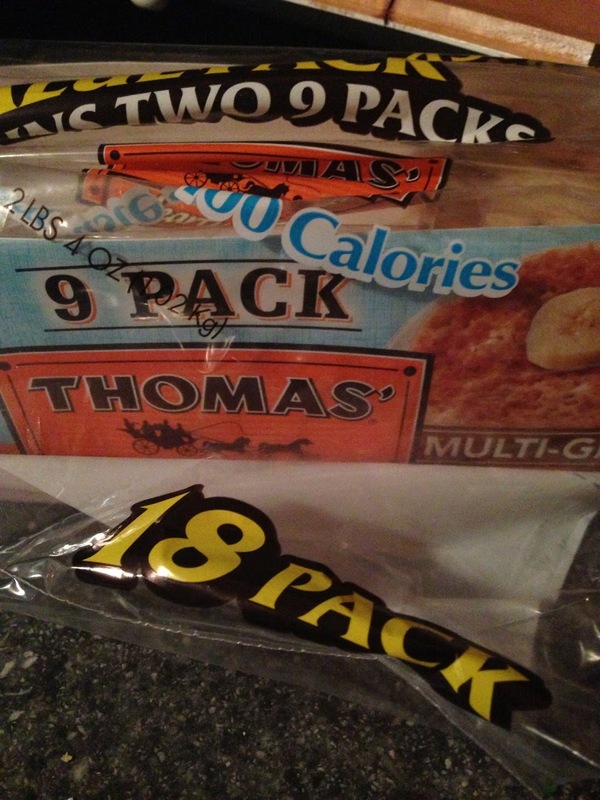 I buy Thomas brand multi-grain light english muffins. And if you don't have a Costco membership -- get one now! You can get an 18 pack of these (two 9-packs; I freeze one) for $5.49. A little 6-pack is $4.99 at the grocery store!! Now, are these technically "clean"? No, probably not. I wish the ingredient list were shorter and if I didn't work 60 hour weeks, I'd totally take on trying to make these myself so that I could know exactly what goes in them. But.... let's be real. That's not happening. Bread just isn't something I'm going to make regularly on my own, so I look for the best options at the store in terms of nutrition then fill the rest of my diet with mostly fresh, clean foods. 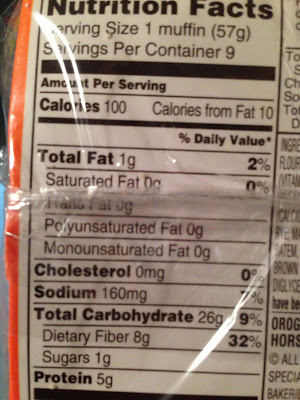 Let's check out the nutrition facts. 100 calories. 1 g fat. 8 g fiber. 5 g protein. That's what I'm talking about! And let's not forget to mention the fact that I LOVE these! I look forward to breakfast in the morning because I get to have an english muffin. So, how to eat them? Other mornings, if I have time, I'll have my english muffin with an egg on it, and maybe some cheese. And sriracha, obviously. Even better? Topped with a runny egg, spinach, and tomatoes. With a side of a peanut butter, berry, and banana protein smoothie. Another fave? A toasted english muffin topped with cottage cheese mixed with honey and cinnamon. Might sound weird, but it's delish! On the weekends, I love to make delicious breaskfasts. 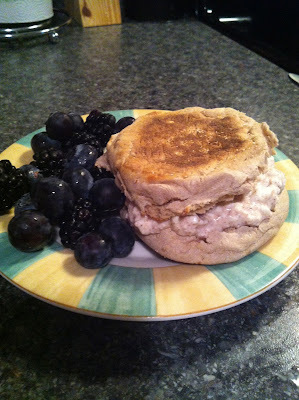 I'll cook up some almond butter and berry french toast for Ryan and make a healthier version for myself by using an english muffin rather than white bread. So good! 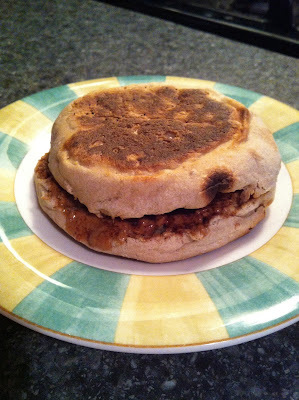 English muffins aren't only for breakfast, though. Top them with pizza sauce, fresh grated cheese and basil (and whatever other toppings you'd like), broil for 6-7 minutes, serve with a side salad -- dinner in 10 minutes! 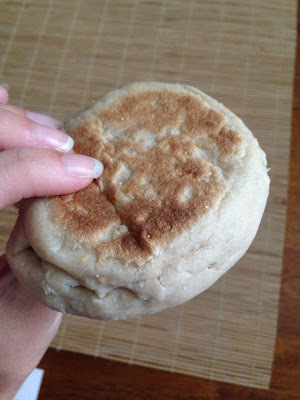 Any other english muffin fans out there? If you haven't added these to your diet, you may want to! 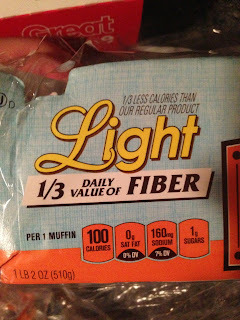 Such an easy way to add a ton of fiber without many calories. They're filling too! I think I'll go have one for breakfast now!